Focused on the care of older adults, this new easy-to-use handbook deciphers the complex area of vision loss by providing a valuable step-by-step guide to all aspects of nursing care management and prevention. Expert contributors instruct you on everything from prevention steps to the psychological and social impact on patients, families and the community. 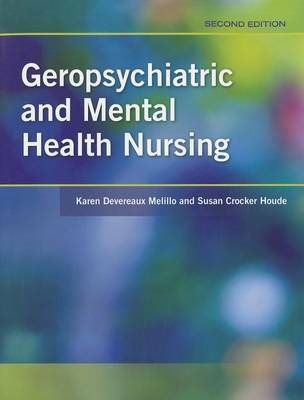 This comprehensive and focused handbook covers all the major diseases and the most important nursing care topics including: Older Adults with Age-related Vision Loss; Models of Care for the Visually Impaired; Care of Eye Emergencies; Care by Setting; Care Planning; Preventing Disability and Dire Outcomes; and Supporting and Dealing with Families. For nurses throughout the world, this new guide provides a much-needed resource for the current and future care of vision loss and prevention in older adults. Buy Vision Loss in Older Adults by Susan Crocker Houde from Australia's Online Independent Bookstore, Boomerang Books.